At age 22, Geraldine has it all: extraordinary beauty, education, intelligence and a stellar artistic career. Unfortunately, she is also afflicted by the same bi-polar disorder that caused her mother to commit suicide before the age of 30. 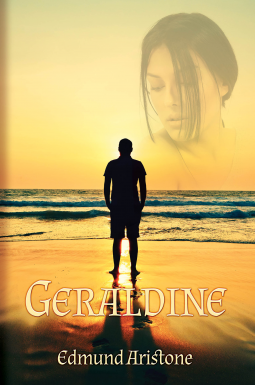 When Geraldine meets Tom, everything in her life changes. Tom is a medical surgeon whose license has been suspended. He is tending bar and drinking too much: living an aimless life because he refuses to re-enter the medical profession. Tom describes falling in love with Geraldine akin to “falling off the roof of a tall building because there is no going back and the ground is coming up fast.” Despite their differences, Tom moves into Geraldine’s exotic world of spirits and witches. He does so to save her but soon realizes the line between logic and fiction is sometimes difficult to ascertain. A solid read that kept me intrigued. I felt for Tom and Geraldine, so much that they went through. I highly recommend! I voluntarily read this book via NetGalley in exchange for my honest opinion.